Get your Business on number 1 Position - GBIM Technologies Pvt. Ltd. Most of the businesses online want to be ranked number 1 on Google but they do not know how. SEO agencies are website promoters. They are there to help you and your business grow and attain as many clients as they can to your websites. Not only cheap SEO packages will help to achieve in log run but you need to look for an affordable SEO packages which will help to fulfill your results. They help by selling your products and services to your clients through your websites. 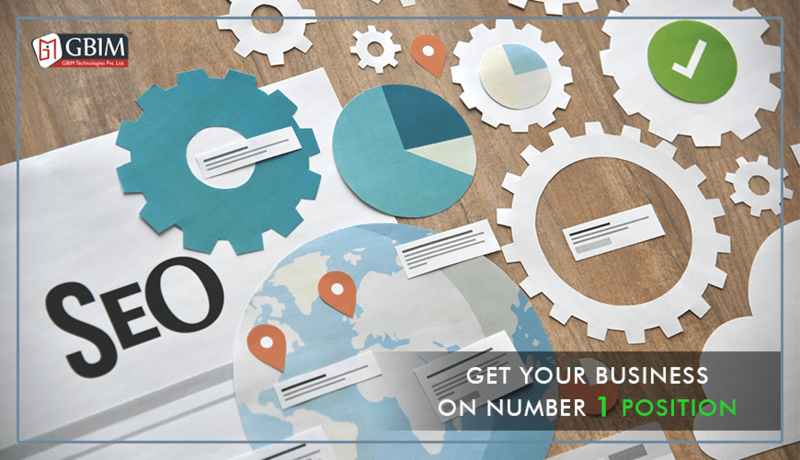 They are there to help your business get on number 1 position. Rankings on Google are hard to understand how they are applied. They change over time. You can check your rankings on reliable tools such as Pro rank checker or advanced web ranking. The ranking will depend on what the individual is searching for. So the most relevant websites appear first. Not only the most relevant but most popular and those that have high-quality content too. So if your business website has high popularity, high quality and is more relevant then, your ranking will be higher. Research on the most used keywords and use the ones that are used less by other businesses. Content will depend on the title, words used, keywords and links to your website. Make each one of this unique and of quality and also make sure they are not used often by others. By doing this, then you are definitely going to be in the first position and beat up the competition. The business world is competitive and if you want your business to be on top then it is best if you get to understand what your competitors are doing and how to outsmart them. Get to know and understand why your competitors are ranked on top then you can get to work from there. Updating content regularly shows the relevancy of the website and its content. Update your content each and every time and keep them fresh in order to receive more traffic. Links play a significant role in SEO. Having links for your business website will get you high rankings and be on the first position. You have to understand what the market has to offer and get to know your products and services. If you get to understand this, then you are set to go. Choose a niche that is less competitive. Don’t compete with large businesses that have the same services as you do. Consider specializing in a more specific keyword than a general word. For example, instead of focusing on general interior design, you can focus on a more specific topic like kitchen makeover or bedroom makeover. Digital Marketing Trends In 2018 So Far .